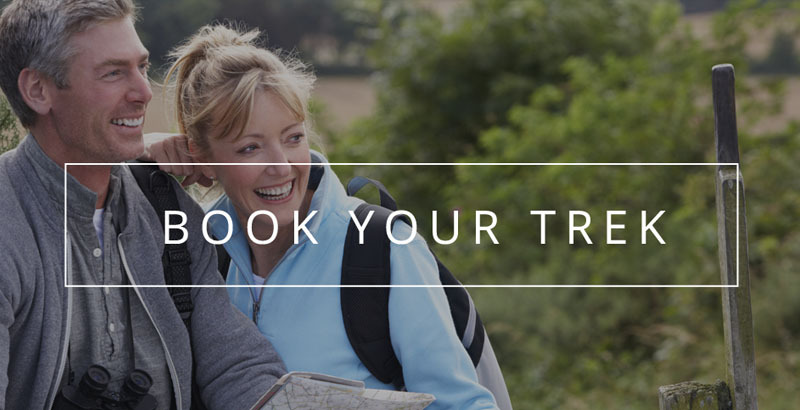 A $300 non-refundable deposit is required to book a trek. Full payment, by check, debit or credit card is required 60 days in advance of the trek start date. 60 days before the trek start date, Wine Country Trekking, LLC will automatically charge the balance on the credit or debit card that has been provided. If a customer prefers to pay by check, Wine Country Trekking, LLC must receive a check for the balance due within 75 days of the trek date. Customers are required to pay a lodging provider directly for charges they are responsible for, such as dinner and incidentals. If a provider charges Wine Country Trekking, LLC directly, then Wine Country Trekking, LLC will charge that amount to the credit or debit card that has been provided. If a customer cancels 61 days or more in advance of the trek start date the $300 deposit will be retained by Wine Country Trekking, LLC, but can be applied in full to a future trek. Cancellations within 31 to 60 days of the trek start date will receive a 50% refund of the full trek price. The remaining 50% will be retained by Wine Country Trekking but can be applied to a future trek. Cancellations within 30 to 20 days of the trek start date will forfeit 50% of the full trek price. The remaining 50% will be retained by Wine Country Trekking but can be applied to a future trek. Cancellations within 19 days of the trek start date will forfeit all fees with no allotment for application to a future trek. To utilize the non-forfeited, retained portion of your fees from a cancellation, a new trek must be booked within 18 months of the cancelled trek’s start date or the retained portion of the fees will be forfeited. We highly recommend travel insurance, which may protect you in the event of cancellation. All materials provided by Wine Country Trekking LLC, whether paper or electronic, are the property and copyrighted material of Wine Country Trekking LLC and can not be reproduced in any form except for the personal use of the customer who has purchased a trek. These materials include, but are not limited to, all maps, guides, trail notes and GPS data.